found this "homeowner upgrade" on a recent job that I did. These were taken in a walk-in closet in a child's bedroom! 1. 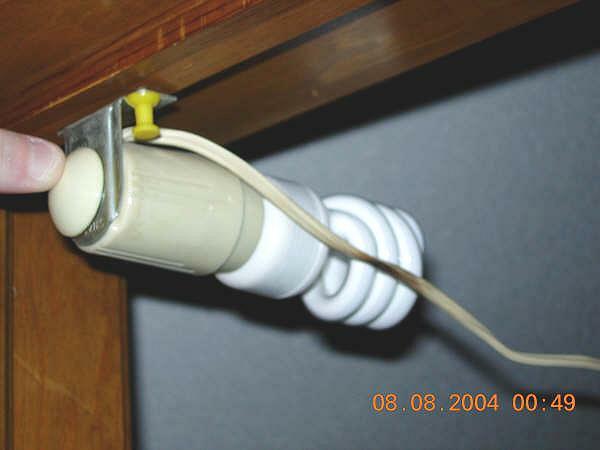 The original pull chain fixture had been removed, and the lamp cord was attached with a flying splice. 2. The replacement "fixture" was mounted to the door frame with a push pin! 3. 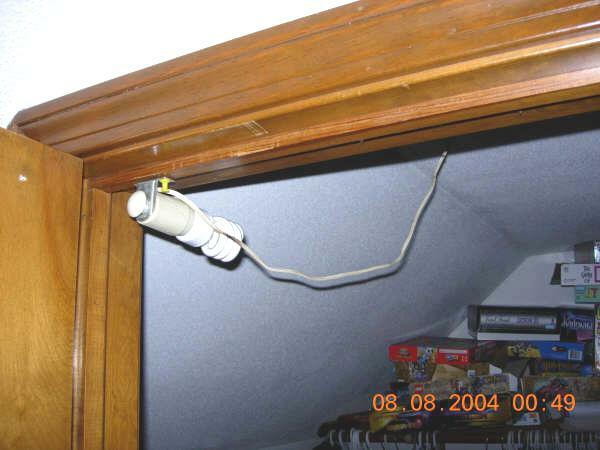 The lamp cord ran unsupported across the ceiling from the box to the door frame "fixture", where the light was activated by the opening and closing of the closet door. Well, the yellow push pins add a nice touch. 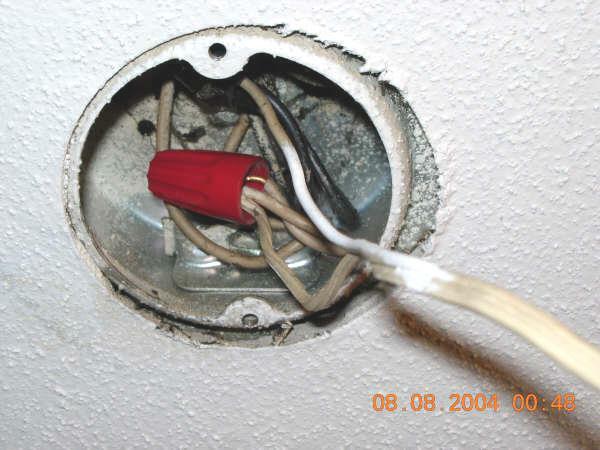 Is that figure 8 "bell wire" or does it have an outer jacket? It looks like zipcord to me. Is that a scorch mark on it in the second photo? The connections into the red wirenut don't look very good either. But he has an energy saving bulb in it. Doesn't that make it ok? Nice photos. Whats a "Flying Splice" ? ? Is that a "Flying Splice" in the first photo?? A flying splice would be the first photo without the box. Splices in the air.